In 2003 the world of poker was inalterably changed when Chris Moneymaker, an unknown accountant from Tennessee, won the World Series of Poker Main event after earning his way into the tournament through a $39 satellite tournament from an online poker site called PokerStars. As big as the story was, Moneymaker was only half the story in 2003; with ESPN expanding their WSOP coverage and adding the hole-card camera to the telecast, whoever won the WSOP in 2003 would likely be given credit for the poker boom –Moneymaker, and his rags-to-riches story just made the entire experience all the more improbable and remarkable. Since that moment in 2003 the world of poker has seen an infusion of new players unlike anything in the 150+ year history of the game. The Internet has brought poker to every corner of the world (it wouldn’t surprise me to sit down at an online poker table at PokerStars and be up against a scientist in Antarctica, a tribesman from the rainforests of Brazil, a student at an Internet café in Amsterdam, and a grandmother from Cleveland, Ohio) and brought with it all of the strategies, concepts, and theories on the game. The influx of young poker players has also seen the games strategies and theories inalterably changed, with advancements in poker thinking coming to light almost daily. To truly understand just how monumental this shift has been over the past decade you need to only look at the previous 150 years of the game; where only a few dozen of the very best players had anything close to the information available to any modern poker player with an Internet connection. From the earliest days of poker (which many consider to have blossomed along the Mississippi River in the first half of the 19th Century) there were players who understood the importance of knowing the odds in poker, and for the better part of the next 100-years these basic strategies and understanding of the “math” in poker were pretty much all a player needed to be a winner at the tables –assuming they could avoid being cheated, robbed, or scammed, especially in the early days of the game. There have been card game strategy books published since the renaissance, and in the early days of poker it was possible to purchase poker strategy books (which were about as popular as a Pokemon strategy guide is in today’s day and age), and amazingly, throughout the better part of 100 years, these books were almost entirely the same! There was no progress—or no progress on strategies and theories that any winning players wanted to part with—made in the poker strategy business. Not to mention there simply wasn’t a market for these books, so no publisher would touch them, and the price tag was usually well above what people were willing to pay for a book. Not that anyone was buying these books to begin with, but there were a few hundred players who likely knew of and read these books, and devised their own strategies. It wasn’t until Doyle Brunson decided to publish Super System (at the time known as How I made $1 million Playing Poker) that poker players realized there was even more to this game than the previous books were letting on, and at the same time clued-in even more of the general population that poker was in fact a game of skill –a still small segment of the population however as most people still consider poker to be nothing more than a roll of the dice! Remarkably, the same thing happened after Super System came on the market: Some poker players read it, still fewer understood it, and even fewer players were able to apply it at the poker tables. From the late 1970’s to the early part of the 21st Century, poker theory and strategy was once again stagnant, with only the very elite going beyond the basics of Super System (and unwilling to share their theories with the world at large). Even the next crop of poker books published (most by 2+2’s Mason Malmuth and David Sklansky) did little to advance the game; the theories and strategies stayed the same, but the way they were conveyed and explained did improve exponentially. It wasn’t until after the 2003 WSOP and the POKER BOOM that the game took off, not only in terms of new players but also in the advancement of strategy and theory. Realistically, if there was a Tom Dwan in the 1990’s poker world he would have dominated even more than Stu Ungar (who was one of those players that was ahead of his time, but unable to express the reasons WHY he was so good at the game), the game before 2003 simply wasn’t prepared for this type of strategy; Dwan would have been viewed as a fish… The luckiest fish in the history of the world! In fact, Dwan was considered a fish during the beginning of his rise to prominence, even by Doyle Brunson himself. Poker’s popularity has ebbed and flowed over the years, but overall the advancement of the game has been continuous. The games advanced from single draws to multiple streets of betting, with a back-and-forth between limit and no-limit betting structures; Stud games joined Draw Poker games, and eventually Community Card games like Texas Holdem were introduced to the fray. Until the late 1940’s poker was basically a saloon/bar game, or took place at a private home, where locals and regulars tested their skills against “Road Gamblers”; a hodgepodge of card sharps and cheaters who breezed into town and were gone almost as quickly. But in the 1990’s, with the Internet starting to take hold in America and across the globe, a shift began in both the popularity of the game of poker, as well as in the makeup of the player base. Gone were the days where a 30 year-old sitting at a poker table brought the average age of the table down decades; in the new poker society the players were getting younger and the knowledge was advancing far faster. Much of this had to do with the Internet, where search engines could bring poker players to strategic-based websites (whether they were searching for them or not) in addition to allowing for the free-flow of ideas on poker forums. Another game-changer was the introduction of IRC Poker, which was the precursor to modern online poker sites. IRC Poker gave users the chance to compete in poker games (play-money) with their friends and peers, building a community of young (or younger) Internet savvy poker players who were not only trying to perfect their own strategies and further the game in that regard, but were also trying to advance ONLINE POKER, and the way people were able to compete in the game. Once real-money Internet Poker became a reality in 1998 when Planet Poker was launched with only a single $3/$6 Limit Holdem table available, the floodgates were opened, and players from around the globe were now able to find a poker game at any time of the day and in any locale imaginable –and in later years for virtually any stakes from pennies to six-figure buy-ins. In the run-up to the real poker boom of 2003, online poker, and poker itself, was already on an uptick (and as I stated in the opening would have likely exploded with or without Chris Moneymaker) Planet Poker’s model was copycatted by a number of other sites with names ranging from Paradise Poker, Party Poker, Ultimate Bet, Absolute Poker, Americas Cardroom, and on and on. The market was already swelling, and once the World Poker Tour, Late Night Poker, and the World Series of Poker on ESPN decided to embrace the recently created Hole-Card Camera technology all of the pieces were in place for the Krakatau-like explosion poker saw in 2003. The 2003 World Series of Poker saw all of these elements come together at the perfect time, in the perfect place, and centered on the perfect person. An online qualifier playing in his first-ever live poker tournament; comprehensive coverage by the largest sports network in the country ESPN; the advent of the Hole-Card Camera bringing in a whole new dimension to the game and a whole new demographic of viewers; and lastly, and often overlooked, the movie Rounders is now five years old and considered the cult movie of college-age kids across the country. Once the 2003 World Series of Poker episodes hit the airwaves in the latter part of the year poker was suddenly the talk of the town. Overnight, poker went from a seedy game played between hustlers, lowlifes, and degenerate gamblers, to the latest trend, with everyone from senior centers, to women’s nights, to college dorms, to Hollywood embracing the game of poker. Now every high-school and college kid wanted to be the next Chris Moneymaker, Mike McDermott, Dutch Boyd, and yes some even wanted to be Worm! Slightly older players saw the likes of Sammy Farha, Dan Harrington, and Joey Knish as their idols, and wanted to prove that experience wins out over the gusto of the young. ESPN and Rounders also tried to get the ladies involved (still a lagging demographic in the poker world) with ESPN focusing coverage on players like Annie Duke and Jennifer Harman, along with Rounders’ female character Petra. Basically, people wanted to play poker, and in 2003 there were only a few locales where this was at all possible –Las Vegas, Atlantic City, Los Angeles, Connecticut, and a few other areas. The one place they could compete was at the virtual tables, and suddenly online poker rooms were flooded with new players from all corners of the globe. With so many new players looking for a place to play the competition between the online poker sites heated-up, and this led to a very player-friendly market. Deposit bonuses and other promotions were so juicy that many players (who were at best break-even) made a living “Bonus Whoring”, going from site to site every month to collect first-time deposit bonuses and reload bonuses. As lucrative as Bonus Whoring could be, for many poker players it was seen as almost unnecessary considering the sheer number of completely ignorant players that were signing up at the sites every day. This was also the early days of rakeback and prop players, where upstart sites (and certain affiliates) could lead you to even more lucrative deals than the players hunting for deposit bonuses could find. For example: I remember being a prop player at a low-traffic site (receiving 100% rakeback) and playing Omaha 8 or better, often against just one or two other players, pocketing around $250 a day just in rakeback money from my prop deal! Anyone who was a competent player before the poker boom (or got in to the game early on during the Boom) viewed online poker as an ATM of sorts, a license to print money whenever it was needed. Using PayPal and Neteller, money could be shuttled from one site to another, or to your bank account, in a matter of minutes. Losing players and players on full blown life tilt were able to deposit money straight from their bank accounts or credit cards –there was no wait time, and the poker economy was booming –I cringe to think how much poker player money was online in 2005-2006! During this time Party Poker was the king of online poker, having usurped the title from Paradise Poker and Planet Poker before that, with PokerStars, Ultimate Bet, and later Full Tilt Poker, competing for second place. But nobody, NOBODY, during this period played at a single site. As I said above, players moved their money from site to site, usually keeping the majority of their bankroll at Neteller for easy access, and to make sure they could cash-in on any deposit bonus they came across. But everything was not all caviar and champagne either. Unbeknownst to the community, there were numerous people taking advantage of the loopholes in the burgeoning, but still young, industry. Insiders at Absolute Poker and Ultimate Bet were using Super-User software to cheat players at the sites (this wasn’t found out until a few years later), and many players had found backdoors and cheats in the software of the sites and were multi-accounting (entering the same tournament under a number of different screen-names) as well as taking part in other unethical practices. Like the old days, the cheaters were still present, just in a new form. It was almost as if online poker had transported poker itself back to the days of the Wild West, where two kinds of players came out on top: Good Players and Cheaters! Unlike the Wild West where cards on cheap paper could be marked (along with other scams of course) at the online tables it was the technology that was the cause of the problem; the industry grew so big, so fast, that in many ways the security and regulations were untested, and the poker sites and the poker players were learning as they went. It was also at this time that the world of online poker came to the attention of the government; a government that was receiving no tax money from these sites and watching millions being gambled offshore. While never really a hot political topic, online poker did find its way into a piece of legislation passed late at night (which very few people even read) that would forever alter the industry from the moment it passed in 2006. In late 2006 the US Congress was mustering support for the non-partisan Safe Ports Act, but inside that seemingly innocuous, and non-controversial, legislation was a provision that sought to derail the online poker industry, the Unlawful Internet Gambling Enforcement Act, or UIGEA for short. The UIGEA was a late addition to the bill (that few members of Congress were even aware of) that would make processing “illegal” online gaming transactions a crime. Basically, the UIGEA sought to take the Al Capone route in thwarting the online poker industry –instead of taking them head-on for their perceived “real” crimes, UIGEA instead attacked a weak flank of the online gaming industry; their payment processors. Before UIGEA even went into effect (which took until June of 2010) the ramifications were immediately felt, as every publicly traded online poker company decided to exit the US market. This exit left a gaping hole in the US online poker industry, and completely flipped the industry from a buyer’s market, to a seller’s market, where the online poker rooms still remaining in the US market were able to set the rules and decide what types of bonuses and promotions they would offer their players. Gone were the days of “Bonus Whoring” and the rakeback AND bonus deals sites were offering. In their place where carefully calculated bonuses and rakeback deals (that could no longer be combined) and the enactment of VIP Programs, which set just how much a site was willing to reward each player; with the bulk of the rewards going not to new players like it always had been, but to high-volume players, since the US online poker market also went from focusing on finding new customers, to player retention. The biggest loss was Party Poker, which at the time was the world’s largest online poker room. The loss of Party Poker left the recently launched Full Tilt Poker and PokerStars to battle for the massive numbers of US players who were left without a home –in the end PokerStars would win the battle and as you’ll see later on in this article, the war. The remaining US poker rooms realized very quickly that the players already online were going to make up the bulk of their player pool, as new players found depositing (and even worse withdrawing) money at online poker rooms increasingly difficult thanks to stricter and stricter enforcement of UIGEA policies. Not only did the rewards move to VIP Programs, focusing on loyalty, but the sites also started offering strategic content which started to close the gap between good players and bad players. Along with outside sources like the burgeoning online poker training site industry, there was no longer a never-ending revolving-door of terrible players; the players left online were one of three types: Good players, total degenerates, and young players willing to learn. Players quickly learned that their current skill-set was no longer good enough to dominate at the online poker tables –in effect; the sharks started eating the smaller sharks. The game’s concepts and strategies evolved at a lightning pace during the days after UIGEA passage, and soon the entire idea of what constituted good and bad players changed overnight. Prior to this, a player who had no idea what position was, or didn’t understand why there was a need to calculate pot odds were considered bad players, fish. Not long after UIGEA the definition of a bad player was someone who didn’t 3-bet at the right frequency, or gave up their blinds too easily! While the players were improving, the ability to play online was diminishing. Players could no longer fund their accounts in minutes, and withdrawals could take 4-6 weeks—so it was really no wonder casual players left the game! Longtime options were shutdown, and even the majority of credit cards were not accepted from US players. But at the same time poker was booming in Europe and around the world; sites were now replacing their lost US customers with new customers from around the globe. So, of course the sites advertising and marketing dollars started to shift from the US to other markets. As the US market continued to systematically implode thanks to tightening restrictions imposed by banks and government crackdowns, and the European market (as well as Latin America and Asia) continued to expand, something happened in the spring of 2011 that would forever alter online poker around the world. 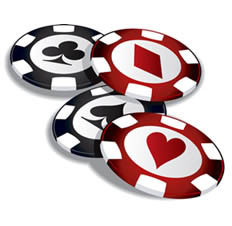 On April 15, 2011 poker players were greeted with a strange message at three of the largest online poker rooms in the world, PokerStars, Full Tilt Poker, and UB/Absolute Poker. What at first looked like some strange “hacking “of the sites’ homepages turned out to be a crackdown by the US Department of Justice and the FBI, as the US Government seized the domain names of all three sites. 11 people were indicted, and others faced civil charges stemming from their roles in these three sites; all three online sites left the US market after cutting a deal with the DOJ that saw domain names returned to the sites in exchange for the promise that all US players would be repaid and barred from using the site in the future. Within a couple of weeks PokerStars had cashed-out all US players and was back up-and-running around the world. Full Tilt Poker and Absolute/UB Poker were not in the same situation financially, and within a few months the wheels had completely come off for Full Tilt Poker –there was never much faith in the poker community that AP or UB would be able to repay their debts to players. The real shocker for the poker community was Full Tilt Poker, and the state the company was in financially. As more and more time passed it became quite evident that Full Tilt poker was not in a position to pay their players, and as more and more evidence came to light –with the site Subject: Poker breaking most of it—it became readily apparent that Full Tilt Poker could very well be a scandal 10-times worse than the Super-User scandal at UB and Absolute Poker a few years ago. Indicted and owing some $300 million to players around the world, the Aldernay Gambling Control Commission (AGCC) was left little choice but to shut-down Full Tilt poker and suspend their license in late June, 2011. The shortfalls, shoddy accounting, and incredibly high dividend-payments made to principle owners of the company sent shockwaves throughout the poker world, and within a matter of a few months Full Tilt Poker went from one of the most trusted and highly respected online poker sites to being scorned by the entire poker community, even by a number of the former Team Full Tilt poker players. Howard Lederer (who was named the most powerful man in poker in 2011 by BLUFF Magazine), Chris Ferguson, and Ray Bitar have taken over the mantle of the most hated people in poker, likely to Russ Hamilton’s delight. The poker community is still hopeful that Full Tilt poker will be bailed out by Groupe Bernard Tapie (who is in talks to purchase the ailing site) but progress seems to have come to a very slow grind, and there have been no guarantees that all player funds will be restored. According to reports, GBT will purchase Full Tilt poker from the US Department of Justice for $80 million (Full Tilt forfeited all of its assets to the DOJ) and will take over the $150 million debt owed to players outside of the US –the DOJ is supposedly going to handle the payments to US players, which are reported to be another $150 million. With only a few online poker sites still willing to operate in the US, the online poker world has effectively lost their largest market. The game is still thriving in Europe, but without the US player-pool it will be hard for poker sites to continue to expand without investing huge amount of capital in new markets. And there are only a select few sites that currently have this type of capital to invest in new markets; PokerStars, Party Poker, and maybe a few others. The overall hope of the entire poker community is that not only will the deal between Groupe Bernard Tapie and Full Tilt poker go through, but also that the US will continue to push forward on online poker legislation; whether this happens at the state or federal level is anyone’s guess. As it currently stands it looks as if several states will have intra-state online poker in place (similar to France and Italy) at which point the federal government may decide to get involved. As of right now, it appears that in the US, and in many other spots around the globe, online poker will be a regional affair (at least in terms of fully licensed and regulated online poker rooms) which may not be the best outcome for the poker community, since the bigger the player pool the better the promotions and games, but the end result of legalized and regulated global poker would be in sight. Fortunately, there are a number of new advocates and companies trying to get on the online poker bandwagon now that the US is basically a clean slate (any online poker room licensed in the US would have a virtual monopoly). Major casino groups like the MGM and Caesar’s have started to form partnerships with existing, legal, online poker companies, while others have opened their own free-play online poker sites in an effort to be primed and ready to go the minute legislation is passed in the US. The current online poker sites have started rethinking their marketing strategies and which markets they are invested in, and how they can reenter the US market should the opportunity arise. There really is no telling what the online poker industry will look like in a few years whether the US passes legislation or not, but one thing is for certain, online poker will be alive and well, thriving around the world.